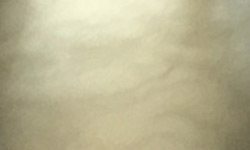 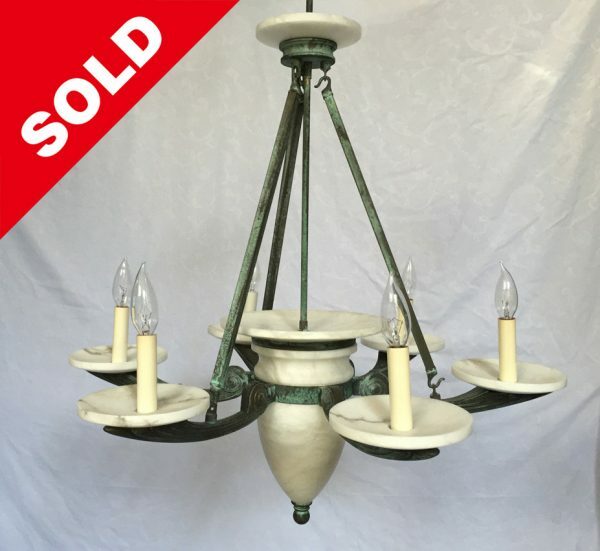 Categories: Large Alabaster Chandeliers – 27″ to 42″, Browse By Category, Chandeliers, Alabaster Chandeliers, Large Alabaster Chandeliers - 27" to 42", Contemporary & Modern Chandeliers, Large Contemporary & Modern Chandeliers - 27" to 42", Vintage Chandeliers, Vintage Lighting, Vintage Chandeliers, Browse By Style, Alabaster Lighting, Alabaster Chandeliers, Contemporary & Modern Lighting, Contemporary & Modern Chandeliers, Large Contemporary & Modern Chandeliers - 24" to 42"
SKU: Grand Light Inventory NUL529002 Categories: Large Alabaster Chandeliers – 27″ to 42″, Browse By Category, Chandeliers, Alabaster Chandeliers, Large Alabaster Chandeliers - 27" to 42", Contemporary & Modern Chandeliers, Large Contemporary & Modern Chandeliers - 27" to 42", Vintage Chandeliers, Vintage Lighting, Vintage Chandeliers, Browse By Style, Alabaster Lighting, Alabaster Chandeliers, Contemporary & Modern Lighting, Contemporary & Modern Chandeliers, Large Contemporary & Modern Chandeliers - 24" to 42"
Handsomely sculpted and stylized, the fluid forms of a leaf hint at antiquity, yet remain quintessentially modern. Anchored by a classic scroll, the massive cast arms of the Millennia Series provide an architectural element of substance and style. 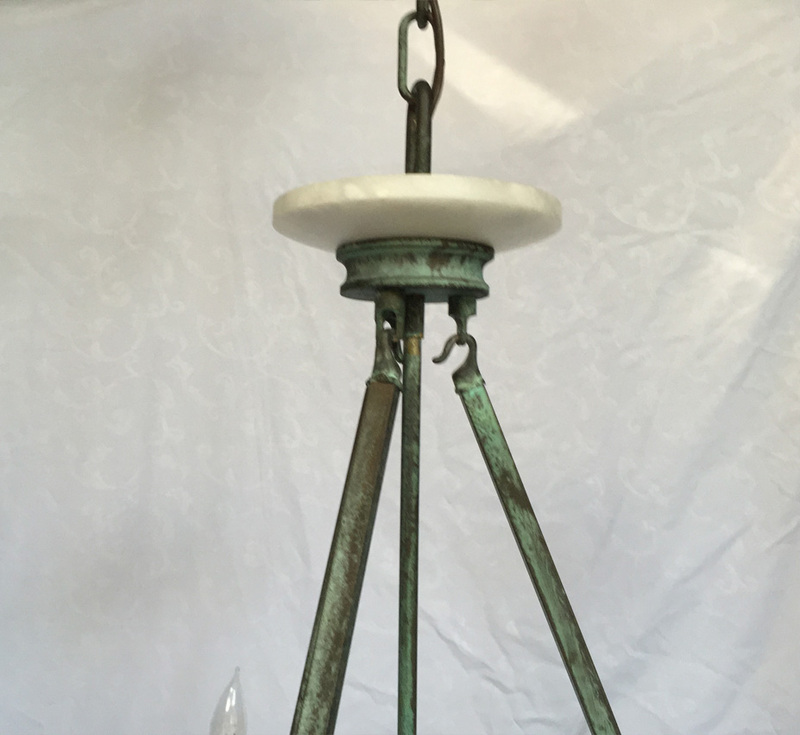 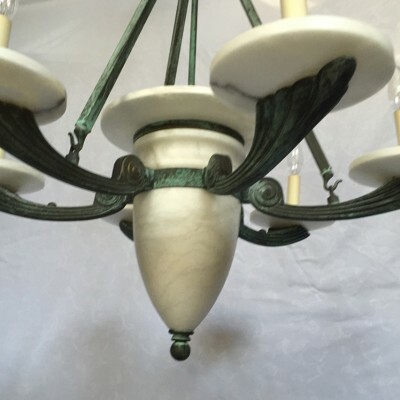 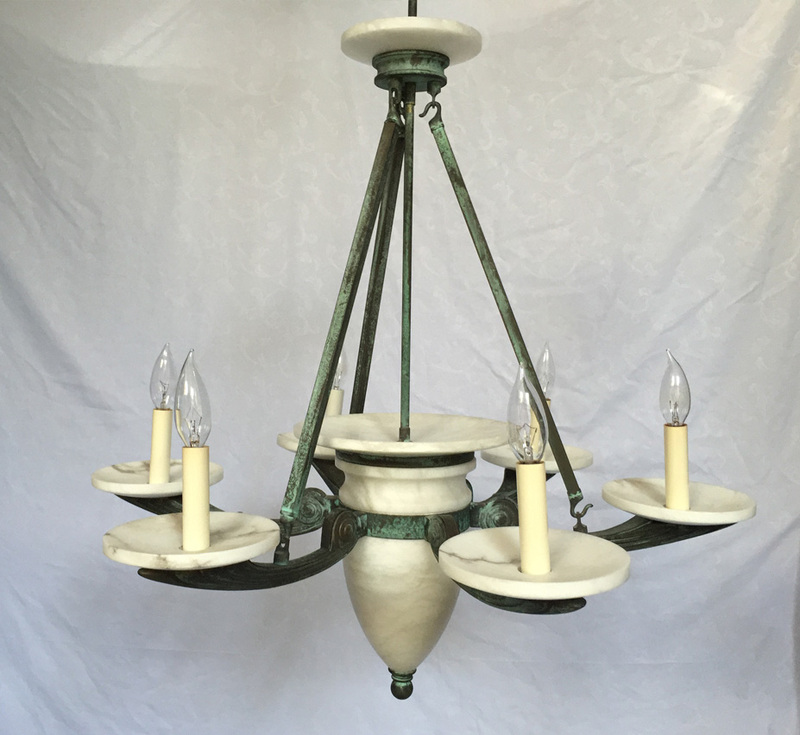 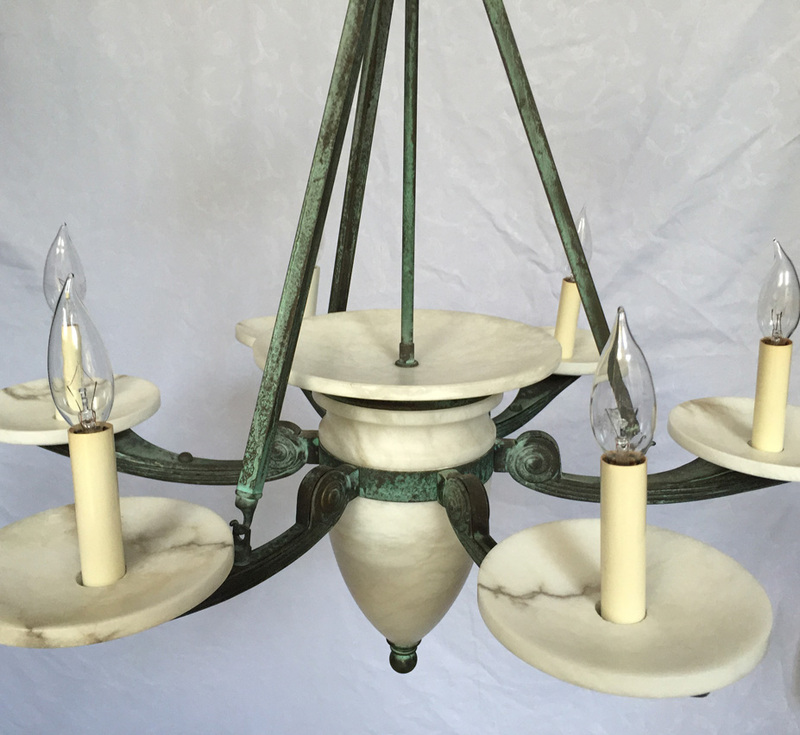 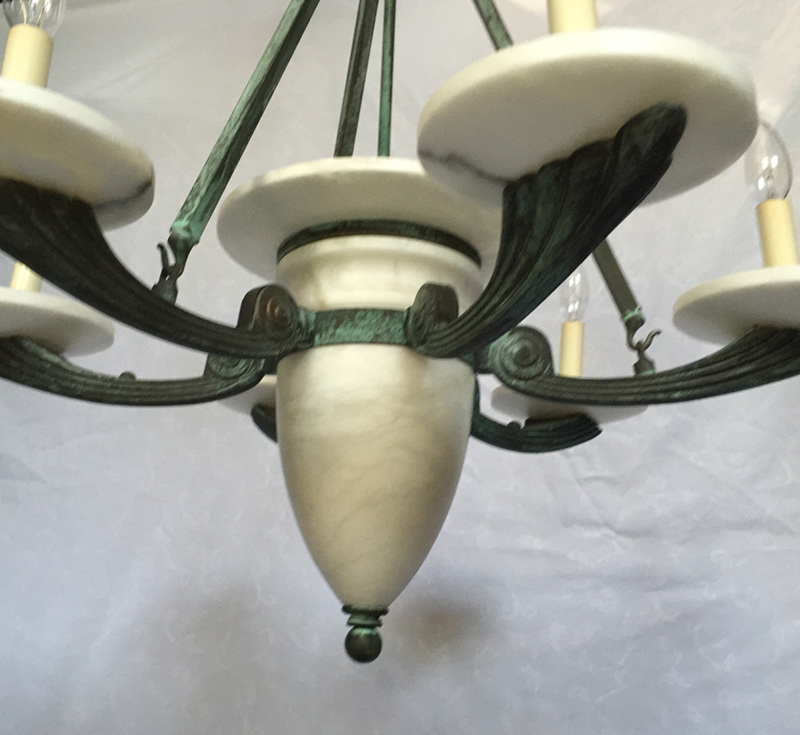 This Millenia Series chandelier is finished in Antique Verde with White Alabaster Stone.